We all know energy rarely goes down in cost. With a solar system you can be your own power producer and hedge against large Utility rate hikes. If the Utility goes up 3% per year on average, your solar system is producing energy without inflation. Whether you purchase the system or finance it through a third party, SunRenu can show you long term savings to your bottom line. If you take all the kWh’s of a solar system through the warrantied life of the panels (25 years) add them up and divide them by the cost of the solar system, that will give you what the industry calls “Levelized Cost of Energy”. This metric shows you the true cost of your solar power system per kWh, and we guarantee that its much lower than what you’re paying your Utility company now! SunRenu also offers a suite of third-party financing for our customers. Solar Service Agreements (“SSA”), Power Purchase Agreements (“PPA”), Operating Leases, Capital Leases, Non-recourse Loans, and Prepaid solar financing is available. We provide a roadmap for predictable long-term energy cost and rates of return without upfront cost, large debt or complex maintenance contracts. The balance of attaining long-term savings on utility expenses, initial costs and return of investment is clear. Solar is the most cost-effective and environmentally friendly solution available on the market today. Going solar is a big decision and it usually rests on the financial aspect of the project. Solar creates electricity, which provides sustainable energy for your home or business. We think being your own power producer is pretty cool, but the savings you get from the solar system is the main reason millions of American homeowners and businesses are choosing to go solar. Whether you are purchasing the system outright, or financing the system, the net savings is the main driver of the solar choice. How much can you save? Fill out the quick quote form and the SunRenu team will show help design a system that meets your goals. With a little electric information, you’ll receive a complete solar proposal showing all your options, savings, ROI, financing options, and electrical analysis in order to make the best and most informed decision. The vision to see the future of energy generation is here today. Most of the world's current energy generation is derived from highly toxic, volatile non-renewable fuels which are not environmentally friendly and face a variety of conditional challenges. Facing the challenges of traditional sources of energy, government, business and consumer demand has increased paving the way for the introduction of clean, renewable energy sources and technologies for power generation. Solar panel installation is one of the best capital improvements that can be done on any building to produce low-cost renewable electricity and hot water. Whether a private home upgrade or multi-unit commercial building installation, solar projects return the investment in several ways. 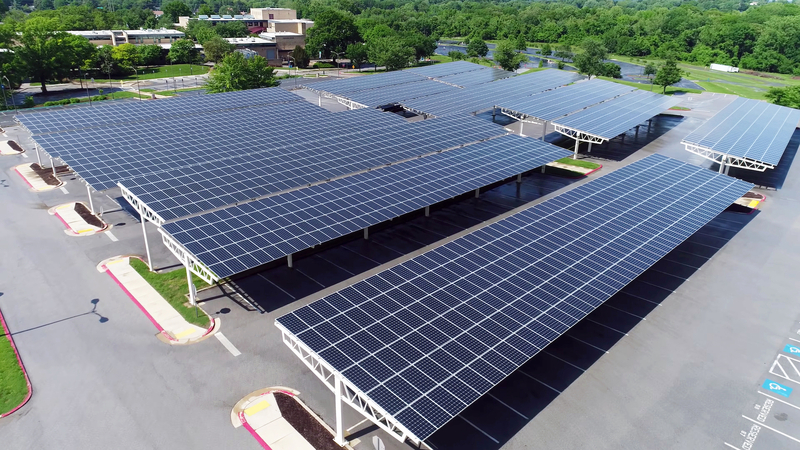 From receiving a monthly check from the utility company to lowering the total cost of operations, the benefits of solar can be claimed over the entire life span of the system and begin from the day the system installation is completed. Solar is an environmentally and socially responsible choice. The elimination of greenhouse gas emissions, reduction in volatile organic compounds (VOC) and Nitric Oxide and Nitrogen Dioxide (NOx) emissions released from the burning of natural gas, improve air quality without impacts to your lifestyle. The limited effect on the environment and delicate surroundings offers a reduced carbon footprint and low emission making your energy dependency safer for the planet and future generations. The supplemental electricity supplied from solar energy effectively transposes electricity back to the transmission grid meeting all of the peak electricity demands year-round. To make it simple, you can use the Utility grid as a big battery through “net metering”. Net metering allows a credit for every kWh produced even if it is not consumed right away. It is held on the grid until your demand consumes it back. The scale and generating capacity of a solar system are completely dependent on the need for power. The scalability and versatility of solar technologies are applicable in nearly any environment for any residential home or commercial building. Solar power production facilities may be installed nearly anywhere in any climate to produce renewable energy for residential and commercial building owners. From roof mounted locations to awnings. Every solar installation can be unique to the location and to the customer. SunRenu Solar energy systems have been applied in many different applications including solar awnings, solar canopy systems, solar shade structures, solar producing carports, wall mounted solar arrays, among dozens of roof mounted techniques. The Federal Government allows a tax credit for your solar system at 30% of the total cost of the system. This is a dollar for dollar credit. This incentive isn’t going to last forever, it is scheduled to sunset after 2019. The 30% tax credit drops to 26% in year 2020, 22% in 2021, and falls to the baseline 10% in 2022. This incentive is designed to spur the adoption of clean energy deployment and its very nice to receive at tax time! Other benefits include depreciation for commercial solar systems. This can be taken multiple ways, 179D, MACRS, or Property Expensing (full depreciation year 1). In Arizona, there is a State tax credit equal to $1,000 for residential systems, and 10% of the cost of a commercial system, capped at $25,000 per meter, $50,000 in aggregate for one entity (multiple meters) to find out more on what incentives your system is eligible for, contact us immediately before the tax credits sunset! Certain States carry Utility or State (local) rebates in the form of up front rebates (lump sum awarded upon system completion) or production based rebates (pay per kWh of solar production). These local incentives are from the State or Utility, depending on State, to deploy solar and diversify the mix of energy produced in that State. Certain SREC states like MA, NJ, and NY are offering large SREC to produce solar energy. To take advantage of this, contact us to see what the local incentives are in your State (if any) and how you can take advantage of them with a clean, renewable solar system. 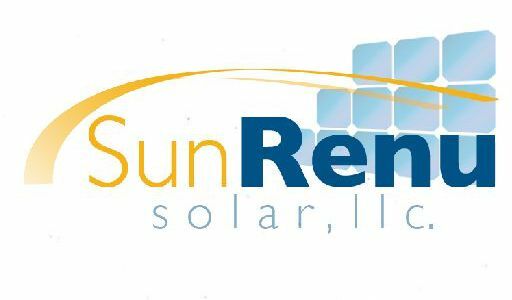 Local rebates are changing constantly, so let SunRenu provide you with a free, no obligation proposal to see if going solar is right for you.